Congratulations! You have achieved your first promotion and reached the 6% commission level. 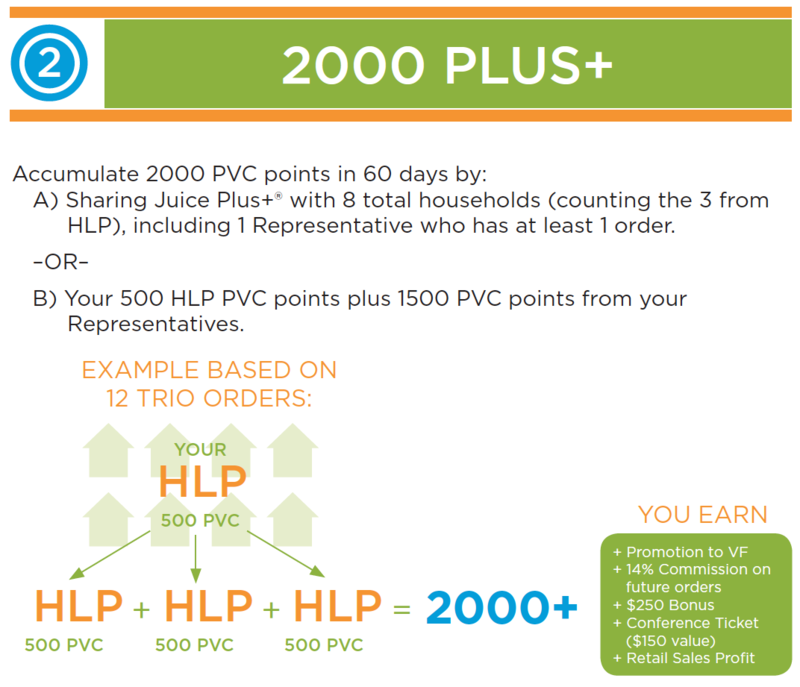 If you did it in 30 days or less and met the requirements, you will receive a $100 HLP bonus! Learn all about the 2000+ Bonus. You should have already completed your first four Launch Steps. Download the VOXER app to your smart phone and get connected with your sponsor and support line, including "mickdaly". Once you have your Juice Plus+ and Tower Garden websites set up with your personal domain names, order your business cards and other sales support materials from www.juicepluspromotions.com. Your first order will come with free shipping. For some of the commonly asked questions and answers, visit www.juiceplusfacts.com. Would $500 a month, $1,000 a month, $3,000 a month (or more) make a big difference to your family? What kind of difference? What are you willing to do to achieve that? What time can you devote to it each day? Why: your WHY is your fuel. Complete this Why Sheet with your sponsor to help you fill your fuel tank; look to balance your WHY to achieve both altruistic and personal dreams. Your Goals: they will help you get what you want - not too easy and not too aggressive. Try this Workbook. On Social Media. Using Facebook properly can dramatically increase your success.